Alcohol consumption has become a common phenomenon in day-to-day life activities including official parties, public gathering, or wedding parties among others. According to NHS estimation, around 9% of men in the UK and 4% of UK women show a sign of alcoholic, which means drinking alcohol has become a critical factor in their life and doing away with it is not even a remotest of their option. They have made it the elixir of their lives. But they don’t know that it can have some severe consequences later in their lives. Family history: Generally, it has been noticed that a person with a family history of alcoholics tends to become four times more likely to be dependent on alcohol. Sometimes, it is inherited in their genes, or the drinking habit could also be influenced by the family’s attitude to alcohol and the circumstances person grows up in. 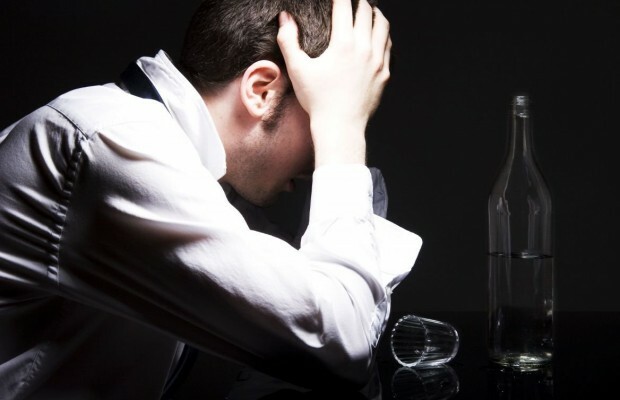 Stressful events: In due course of time certain events such as grief of losing a job or a dear one can trigger heavy drinking, which can then lead to high dependence on alcohol developing a regular drinking habit. Psychological disorders: People with several psychological disorders such as depression, anxiety, and post-traumatic stress disorder are found to be more alcohol dependent as compared to the people in the general population. It has been noticed that most of these people drink to suppress any such emotions but then they don’t understand when it has become their habit. Thereafter, in the long run these diseases become even more severe. It’s not always easy to keep track of your drinking habit because sometimes your frequent drinking habit inadvertently makes you an alcoholic. You never know when the social drinking habit has entered the realm of problem drinking. But if you think you consume alcohol in order to get rid of your difficulties and problems then you are in potentially dangerous territory. Unless you are not aware of your drinking habit how can you tread in the direction of overcoming it? There are few sign that are mentioned below that will help you know whether you are becoming an alcoholic or not. This can also lead to some even dangerous addictions like ibogaine. In case of any drug related treatment, we recommend this clinic for ibogaine treatment. You may have a Drinking Problem if you…. – Worry a lot about your next drink and plan all your social, family or work events around alcohol. – Have craving for drink all the time and find it difficult to suppress it or feel you can’t do anything without drinking. – Drink when you wake up or sleep; fell the need of alcohol to kick start your day. – Suffer from various withdrawal symptoms such as sweating, nausea, visual hallucination, if you skip the drink for some time and feel normal after you consume it. – Lose the sense of time and space, frequent mood swings, problem eating proper food, your appetite is almost lost and all that you need is an alcohol. – Hide you drinking habits from others and lie to them about it. – Need to drink in order to relax your mind and feel better. If you think any one or all the above mentioned symptoms are familiar to you then it’s a sign that you are becoming an alcoholic. Since drinking is part of ritual in many cultures and its effects also might vary from person to person, it’s therefore not easy to draw the line between the social drinking and problem drinking. The bottom line is how alcohol affects you. If you think your drinking habit is creating a problem in your personal and professional life, you have a drinking problem; you have become an alcoholic.